We work with the best suppliers in the flooring industry to always provide a quality product. Our team works with you to select the best material for your home and budget. LVT is definitely becoming more and more popular, particularly in residential applications. LVT offers durability, low maintenance, and years and years of an unchanging appearance. You can get the look of wood with the durability of a solid vinyl floor. This is great for active pets or children. Hardwood floors are attractive, durable, and timeless. Let us show you why hardwood floors are the superior choice. Environmentally friendly and manufactured from a renewable resource, it can improve the environment within your home because it doesn’t trap dust, pollen and other allergens. We offer a large selection of prefinished hardwoods. We also offer refinishing services for your existing hardwoods (sand/stain poly). Regardless of the place or style, carpet just makes a room feel warm and comfortable. Peachtree Flooring, Inc. allows you to exercise your design skills as you select from a wide range of carpet colors, patterns, and textures. We provide commercial and residential carpets. Hard surfaces are rapidly gaining in popularity due to their unique look, durability, and ease of maintenance. Are you adding a sunroom, remodeling a kitchen, bath or foyer? We can update your bathroom shower and glass too. Check out our lines of tile and marble to fit your needs. Laminate flooring is a very durable alternative to sheet vinyl or ceramic tile in kitchens, laundry rooms, entry ways and even bathrooms. Laminates are a low maintenance floor that will provide years of satisfaction. Vinyl is used primarily in kitchens, laundry rooms, and baths because the surface is waterproof and therefore spills are easily removed. 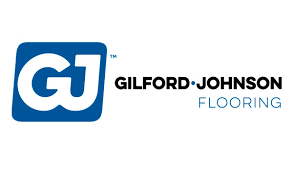 It's an affordable option and many flooring dealers shy away from this product; however, we excel in providing an attractive product and quality installation. VCT is a good choice for high traffic areas, particularly in commercial applications. VCT can also be used in kitchens, bathrooms, playrooms, basements, storage areas, laundry rooms or entry foyers. It can be an inexpensive alternative to sheet vinyl.